In the 3:30 pm game, the Slocum Mustangs took on the Kennard Tigers. The game was tight throughout with the exception of the third quarter when the Mustangs outscored the Tigers 11-4, giving Slocum a lead they would not relinquish on their way to a 51-43 win. The first quarter was a back and forth affair that saw Kennard take an early lead only to have the Mustangs come back to tie the game before the period expired. The Tigers points came from Jermaine Leonard with five while Jalen Patton, Okoye Smotherman and Trevon White all had two. 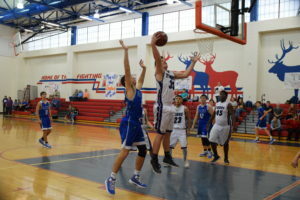 The Mustangs were paced by Colby Thornton with five points and Chase Wilson who connected on a three-ball. Lincoln Smith added a pair of free throws and Travis Neal made one of two from the line to make the score 11-11 after the first eight minutes of play. The game stayed close as the offensive pace picked up in the second quarter. Leonard dropped in five for Kennard while Dylan Cole and Seth Wiley knocked down three-pointers. Smotherman also added three and Garrett King hit two from the line. Thornton paced the Mustangs with six second quarter points as Slocum took a 28-27 lead into the locker room at halftime. Andrew Abernathy broke into the scoring column with five while both Randy Guess and Josh Ives hit from behind the arc. The third quarter saw the Mustangs extend their lead to eight due to the shooting woes of Kennard. The Tigers four points came on twos from Patton and Ryan Pilkington. Slocum took advantage of the Tigers’ cold shooting and jumped out to a 38-31 lead after three periods of play. Guess had five, Neal dropped in four and Abernathy made a pair of free throws. As the fourth quarter got underway, the Tigers tried to cut into the Slocum lead but every time they would get close, Slocum would pull away. Patton had four in the fourth while Leonard and Wiley both had three. Travis Roy made a pair of free throws to close out the Kennard scoring. The Mustangs were led by Thornton with seven while Guess hit his third three-pointer of the game. Abernathy added two as the Mustangs closed out the Tigers by a score of 51-43. For the game, the Tigers’ points came from: Jermaine Leonard with 13; Jalen Patton with eight; Seth Wiley with six; Okoye Smotherman with five; Dylan Cole with three; and four Tigers – Garrett King, Ryan Pilkington, Travis Roy and Trevon White – all with two. 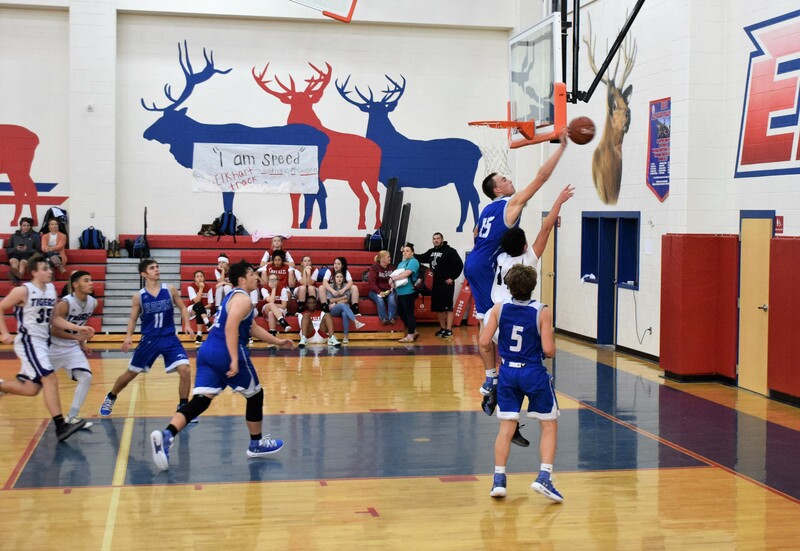 The Mustangs were led by: Colby Thornton with 18 points; Randy Guess with 11; Andrew Abernathy with nine; Travis Neal with five; both Josh Ives and Chase Wilson with three; and Lincoln Smith with two.